We love a good fresh face around these parts, and we just discovered a new one. He's the newest hot face on "Days of Our Lives" (he plays Eli Grant), and we might have to start acting like we watch soap operas again. Meet our new (but taken) daytime TV bae Lamon Archey. To explain his fineness, he was previously a model. Then he took his talents and good looks to the soaps. 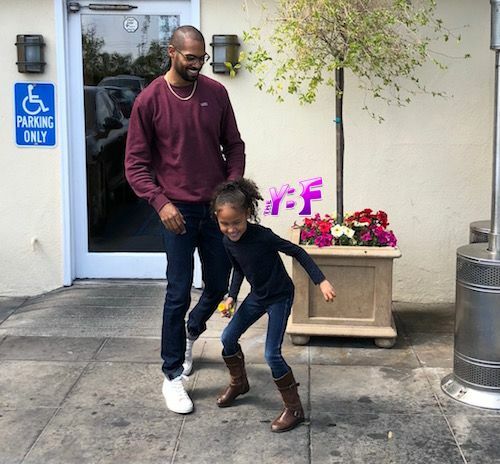 Lamon does lunch dates (pictured here) with his daughter, Gaia, so obvi we're enamored. And yes, in case you were wondering, Gaia's mom and his fiance Mercedes Cornett is blessed with some melanin. 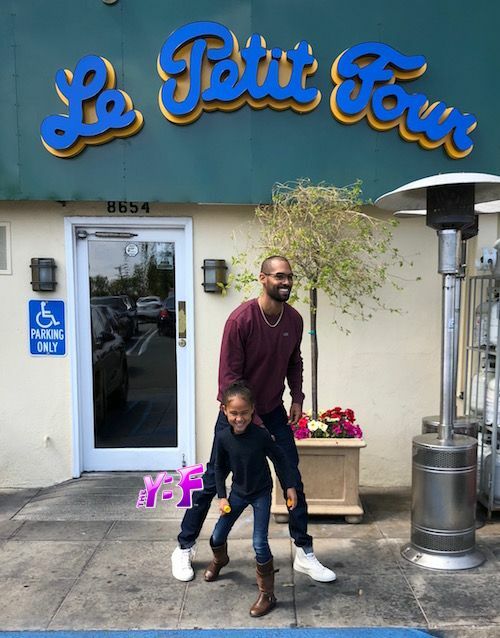 He was spotted taking his baby girl to Le Petit Four on Sunset Plaza recently, and the daddy-daughter duo is adorbs. The California native started his career modeling for some top fashion designers - in print and on the runways - including Macy’s, Kohl’s, Giorgio Armani and Dolce and Gabbana. After dipping into starring in a few commercials for Chase, McDonald’s and The Gap, he got his first acting gig that lasted a couple years in 2012 on "The Young and The Restless". Now, he's working on new projects including the movies Engaged, Draw and Starlet all to be released this year. Yesssss. #DadGoals and #DilfGoals indeed. PREVIOUS: IT’S OFFICIAL! Lil Scrappy & Bambi Are Having A Baby.